Wherever you are in your professional journey, it is important to step back and understand how quickly things can change…overnight. Jaden Bell & Dylan Kite, CEOs of TopTier confirm though: This Did NOT Happen Overnight. Today, I invite you with me to pick the brain of Jay and Dylan, The 2 CEOs of Top Tier. Q (Jack Dylan Cohen): How did you get started? Tell me a bit about your introduction to E-Commerce. A (TopTier): Sitting in a marketing class, a buddy made a bet saying we couldn’t get 10k by the end of the month. We blew out that bet by over 25k followers. That’s when we knew we had to take action on what we were doing. Top Tier founded at the end of August 2015. People started asking about merchandise and we had no idea what we were doing. We learned from trial and error and others that helped us along the way. After being a successful first year of Top Tier (Instagram @TopTier) we made profit. Unfortunately all good things come to an end December of 2017 the Instagram was deleted. At the time, we had 140k followers everything just crashed down on us. After taking a little bit of a break, we decided we weren’t going to come this far to fail. So we made another Instagram (@toptiercollege) because every other related username was taken. We used everything we knew to grow an Instagram and had help with the college niche community to grow our Instagram back to where we were. We completely crushed our follower goal surpassing 140k to over 240k followers in less than a month. We kept going and kept coming out with new ideas such as shirt designs, events, and collaborations with other companies to help grow the top tier name. Now, we are sitting at near 500k followers, with thousands upon thousands of follower requests we take great pride in individually approving. Our future plans are to keep growing to become the biggest college social media in existence and we won’t stop till we achieve this goal. Q (Jack Dylan Cohen): How have you leveraged operating a business via social media that provides substantial income, enough so, to the point that your entire work focus revolves around your brand, Top Tier? A (Jaden Bell, CEO of Top Tier): Absolutely, coming into this business we didn’t know anything hardly. We had to learn everything on our own. Even today people ask us, is Top Tier all you do? The answer is yes. It’s an amazing job to have but it’s not just posting a picture to Instagram it’s way more than that. My typical day is waking up searching through dms finding content for the day. After we get the early morning posts finished I then head straight to the computer to run sales reports from the previous day. I then send orders over to the distributor. Then I’m looking through emails replying back to customers then talking with different companies on what we can do to make both brands better. We are all for helping out other brands because we were in the same shoes once upon a time. Then we get lineups locked in for the day (content and times) after that we then head to the drawing table to come up with ideas for new products, new shirt ideas and new event ideas we can do. The next question we get a lot “is it profitable?” My answer to that is if you play your cards right in the beginning yes it is. Starting out isn’t easy. You have to want it. You can’t give up. This company has helped us buy a house, vehicles and enabled us to travel to wherever we want; whenever we want. Q (Jack Dylan Cohen): What does the future hold for TopTier? A (Dylan Kite, CEO of TopTier): We plan on doing a full college tour meeting with different colleges throwing parties and getting the name out there even more. We plan on doing concerts with different bands and doing different events at tailgates before major football games. We also plan to host giveaways to help college students pay for their colleges or giveaway items to help them get through college such as a MacBook. Yeah, we like to promote parties and promote people doing crazy things all the time, but we also want to help college students have the best possible college experience they can have. With Top Tier helping them get through the boring stuff, like homework, and tests, we feel as if we are doing a good deed by helping collegiate students in need of carefree entertainment at a free premium, publishing consistently on our Snapchat, Twitter, and Instagram. There you have it. Humble, professional, and focused. The attributes and innovative qualities of TopTier make them a juggernaut in the modern social media E-Commerce landscape. 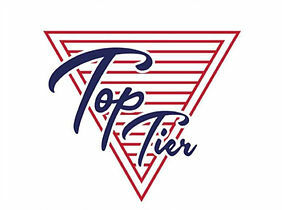 Subscribe to TopTier’s mailing list to enjoy quality content & clothing! The Man Who’s Never Watched TV – No, Not Even the News!